The Knitting Pirate » In Which the Pirate is Pleased to Present. « In Which the Pirate Slouches. One of my New Year's resolutions for 2019 was to release more knitting patterns, and I'm happy to share the first one of the year with you! Please extend a warm welcome to the Hollis Hills Hat. 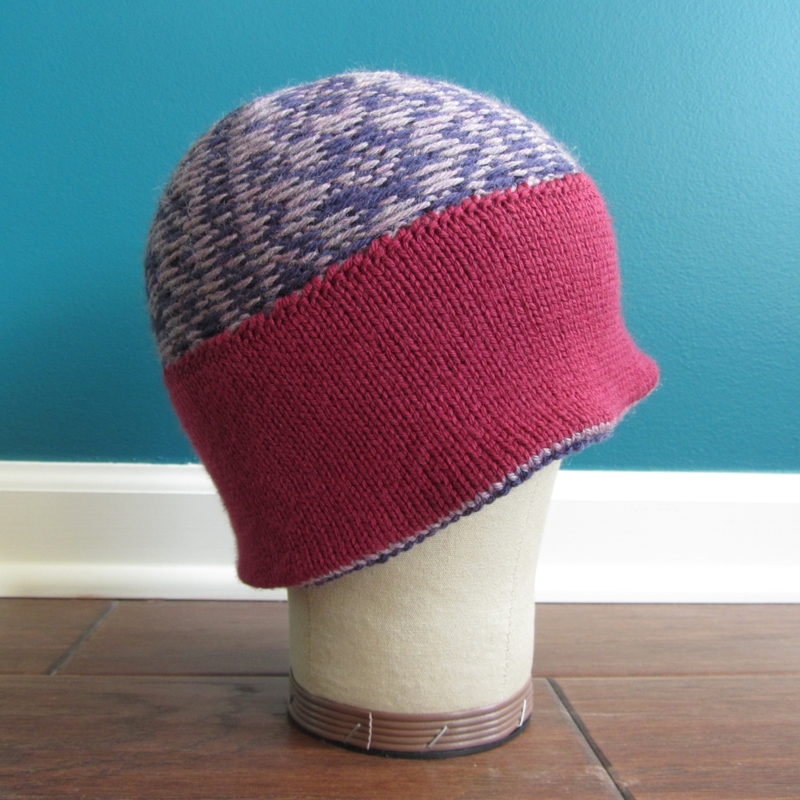 The hat is knit with two contrasting colours of worsted weight yarn, plus a small amount of sport weight yarn for the facing. 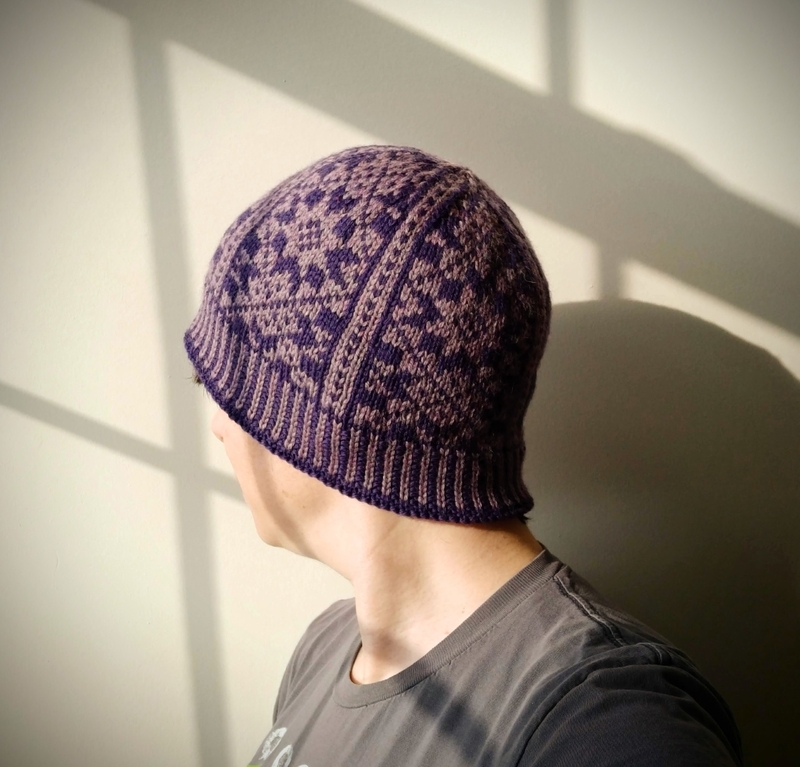 I knit this purple hat with Cascade 220, using approximately half a skein of each colour, and approximately 70 yards of Cascade 220 Sport Superwash for the facing. The pattern includes charts for two sizes and has an optional facing, which is knit in a lighter-weight yarn on the same size needles. Omitting the facing will result in a looser hat. The beet-red facing feels like a fun surprise, hiding away underneath the more subtle purples. Half a skein of the 220 sport was enough for a lining that's more than three inches tall, so there's a triple-thickness of wool to keep the cold off one's ears. I hope you enjoy knitting this hat as much as I did! Important Copyright Information: The Hollis Hills Hat knitting pattern is © 2019 Knitting Pirate. 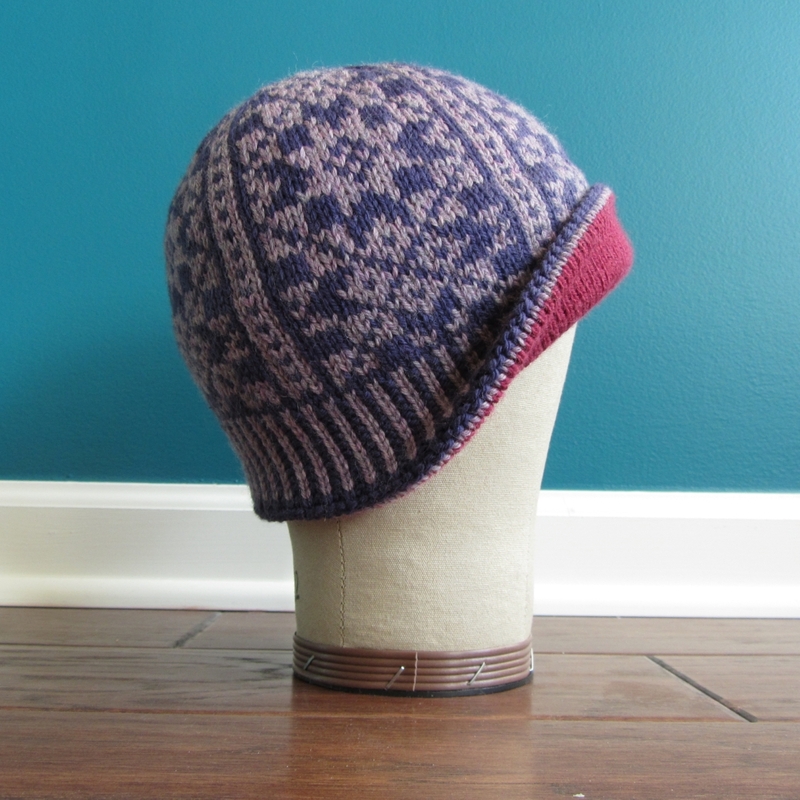 You may not sell or otherwise distribute copies of this pattern, but you may absolutely sell the hats you make with appropriate credit given for the design. If you have any questions about what you can or can’t do with this pattern, please feel free to contact me. 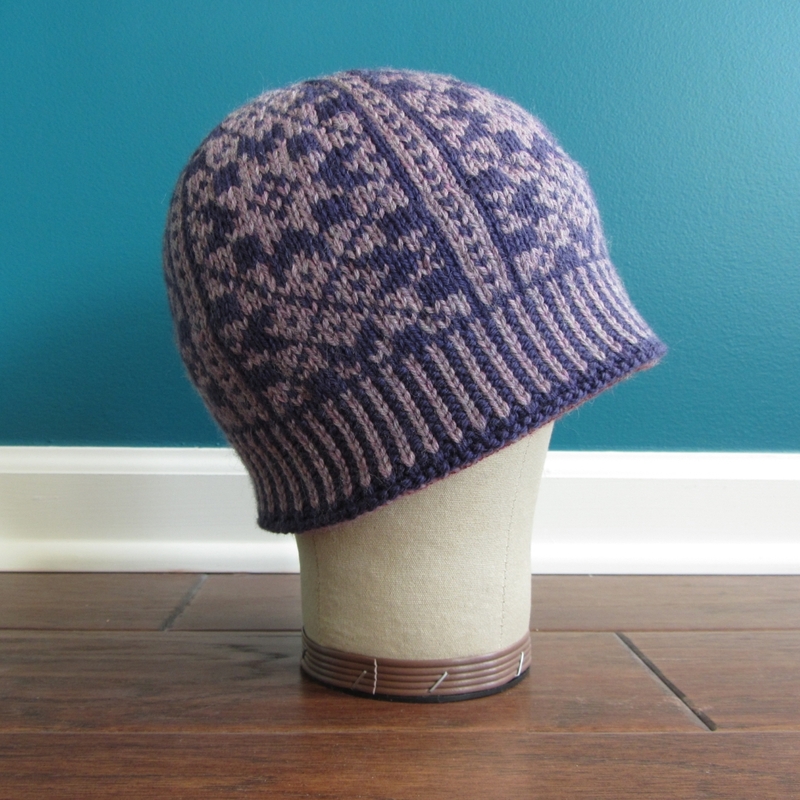 This entry was posted on Tuesday, January 22nd, 2019 at 08:30 and is filed under colourwork, design, gifts, hat, Hollis Hills Hat. You can follow any responses to this entry through the RSS 2.0 feed. Both comments and pings are currently closed.